The Rio Grande Valley is home to many LGBTQ women who have left their mark on this region and beyond. Writing has been just one of the many ways LGBTQ women have made history in deep South Texas. 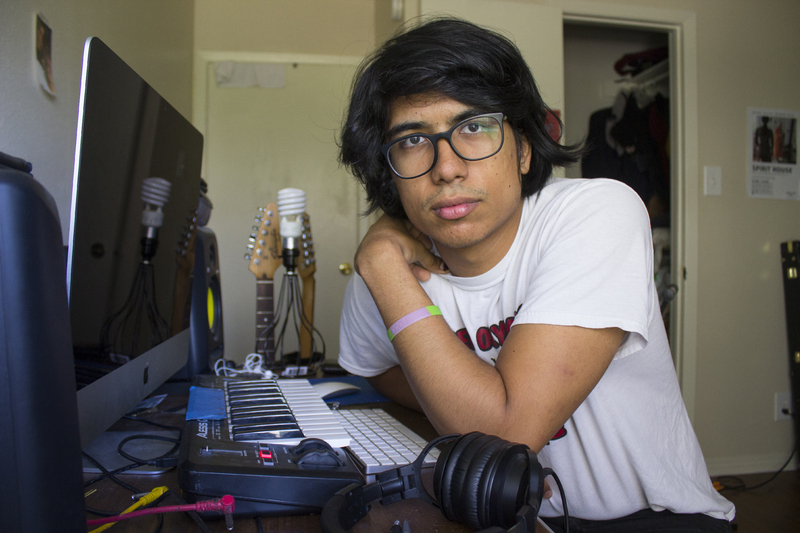 Some did it through fiction, poetry, and essays; others did so by uplifting the voices of the RGV LGBTQ community, a community that is far too often ignored in mainstream circles. Altogether, these six LGBTQ women have led the way when it comes to the written word and making sure that the world hears the voices of the RGV LGBTQ community. Originally from Pharr, Raquel ‘Rocky’ Gamez wrote stories about the lives of working-class lesbians and queer people who lived in the barrios of the Rio Grande Valley during the late 1960s and 1970s. Her most popular works are known in the LGBTQ literary world as “The Gloria Stories” (“From the Gloria Stories”, “A Baby for Adela”, and “A Matter Of Fact”), and they were published in various feminist and lesbian fiction anthologies during the 1980s and 1990s. Those anthologies include “Women on Women and Wicked Girls and Wayward Women.” The main character in “The Gloria Stories” was described in the narrative as a “working-class Chicana butch lesbian.” These stories are believed to be the first written fiction representation of the lives that lesbians lived in the Valley. Gamez passed away in 2011 at the age of 77 at the Comfort House in McAllen. Born in Harlingen but raised in Hargill, Gloria Evangelina Anzaldúa influenced legions of writers from the Rio Grande Valley and beyond. A graduate from Pan American University, Anzaldua worked in the PSJA school district as a teacher, before going on to co-edit the anthology book “This Bridge Called My Back: Writings by Radical Women of Color” in 1981. Her best-known work came in 1987 when she completed and published the semi-autobiographical “Borderlands/La Frontera: The New Mestiza”. Anzaldua’s exploration of her queer Chicana identity, along with the codeswitching style she used in the essays and poems found in Borderlands was considered innovative at the time, and it has continued to influence many young writers and poets of color. Anzaldua passed away in 2004 at the age of 61 in Santa Cruz, California. Laurie Coffey was born in Chicago but has spent her life in the Valley since she was in her 20s. During the 1980s, Coffey founded the group Nightlife and Company, which consisted mostly of women including drag kings. Coffey would perform as Joshua St. Michael. Nightlife and Co would host monthly events at Las Ventanas, a bar in The Bahia Mar Hotel in South Padre Island. In 1989, along with her partner Alicia Lugo and several others, including Oscar Raul Lopez of the Valley AIDS Council, Coffey would help co-found the group Valley Voice. This group would later publish In Touch Magazine in 1992. Coffey and Lugo were actively involved in editing the magazine, which included content from Valley Voice members about the LGBTQ community in the Valley and around the world. The magazines were recently on display at Pride in the Park this past June. Coffey lives in Harlingen and will be featured in the upcoming documentary Pansy Pachanga. Also born in Harlingen, Alicia Lugo has been involved in the RGV LGBTQ activism since the 1980s. Along with Laurie Coffey and several others, Lugo was one of the co-founders of Valley Voice, which is believed to be the first LGBTQ advocacy group in the Valley. The group was launched with a meeting at Valley AIDS Council in Harlingen then later began meeting at a hotel in Harlingen in the late 1980s. It grew in attendance with every passing month. The group provided a support system for LGBTQ adults and young people, along with different social activities and events, offering a space where the LGBTQ RGV community could gather in a safe environment. Lugo and Coffey, as part of Valley Voice, participated in organizing an LGBTQ conference in South Padre Island in 1991 along with Valley AIDS Council and Planned Parenthood. Lugo would go on to help edit and publish In Touch Magazine with Coffey, giving a platform to the voices of LGBTQ people in the Valley. The magazine touched upon many issues that LGBTQ individuals in the Valley were facing at the time. Lugo and Coffey were also involved in raising awareness about nationwide legislative issues in the Valley and traveled outside of the Valley several times to participate in demonstrations for hate crime laws and other legal protections for the LGBTQ community. Lugo still lives in Harlingen and will be featured in the upcoming documentary Pansy Pachanga. Currently based out of Weslaco, Noemi Martinez has been at the forefront of writing and producing zines from and about the Rio Grande Valley for almost 20 years. She first launched her best-known zine, “Hermana Resist”, in 2000, where she explored being a single Chicana-Boricua mother in the borderlands of the Texas-Mexico border. In 2002, she founded MujerFest, an innovative festival centered on women in the Valley that featured presentations, performances, workshops, and classes. Over the years, she has continued releasing zines and books which included “Aged Noise”, “Homespun Zine: DIY, Making of a Chicana”, “MAIZ: Mujeres Activistas Insurgentes y Zineras”, “Finding Gloria: Nos/otras”, “Citrus Dreams”, and her most recent book “South Texas Experience: Love Letters”. Martinez is in the process of raising funds to release an anthology of Hermana Resist, hoping it inspires a new generation to tell their stories in the Valley. Originally from Brownsville but now living in Philadelphia, Jamie Berrout first started writing poetry during her freshman year in college. A few years later, she released her first poetry book, titled “Postcard Poems”. She followed her debut release with her first novel, “Otros Valles”, in 2014 and began releasing material on a more consistent basis. She broke new ground when she began working on co-editing “Nameless Woman: An Anthology of Fiction by Trans Women of Color”. Berrout continued trailblazing when she published her book “Portland Diaries”, which became the first book of literary short fiction ever published by a Latina trans woman in the US. She is currently working on the Trans Women Writers Collective, which promises to create a new wave of trans literature. Berrout has often been critical about the lack of publishing opportunities for trans women of color, and this project is hoping to change that. The TWWC will be publishing a new booklet of writing by a different trans women every month. To support this project, you can click here. Thanks to Gabriel Sanchez for his research, which assisted greatly with this list. For more RGV LGBTQ history, check out the upcoming documentary Pansy Pachanga. This article was updated and corrected on Oct. 1, 2018, to accurately reflect Alicia Lugo and Laurie Coffey’s contributions. Thanks to Gabriel Sanchez, Alicia Lugo, and Laurie Coffey for additional information and corrections to the original article.